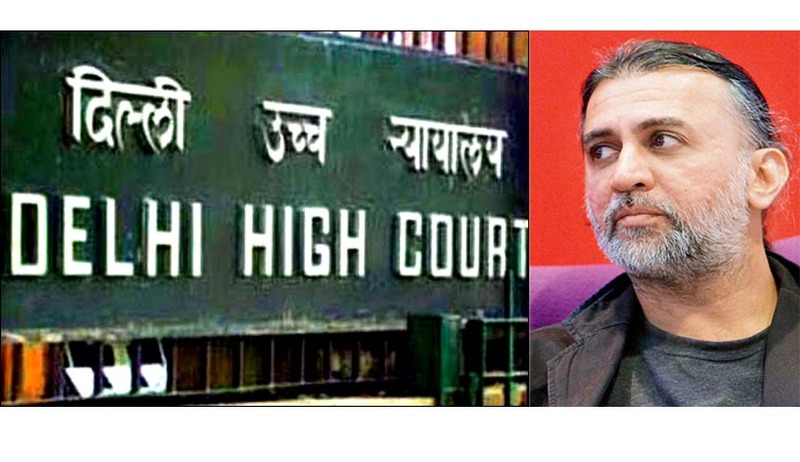 Delhi High Court today heard the final arguments in Tehelka founder Tarun Tejpal ‘s application for Anticipatory Bail. Justice Sunita Gupta has posted the case for orders on November 29. While Senior Advocate Mukul Rohatgi argued for the prosecution, Senior Advocate KTS Tulsi appeared for Tejpal. According to NDTV report the following arguments were made on behalf of the parties. They have a bone to pick and want to teach a lesson. Arrest leads to many serious consequences. A lot of humiliation attached with arrest for accused and family. Tejpal goes underground. Does not surface anywhere. No warrant. There is admission of accused in mails. It's an open and shut case. He has not gone underground. He will go to Goa and apply for bail there, what is sought is only an anticipatory transit bail. Apart from the argument based on the facts and circumstances, the important question of law involved in this case is regarding the jurisdiction of Delhi High Court to entertain a bail plea in a case registered outside it’s jurisdiction. Though it was argued that Tejpal was only asking for the Anticipatory Transit Bail, before approaching the proper forum, the question is what prevented Tejpal to approach the Bombay High Court (Goa Bench) especially when the presence of accused is not at all necessary to file Anticipatory Bail. Delhi High Court recently decided the question of territorial jurisdiction where an accused is arrested in a State different from where the FIR is lodged. It has been held that that only such High Court, within whose jurisdiction the subordinate Court is located before whom the trial proceedings are pending and whose quashing is sought, should entertain writ petitions under Article 226. Karnataka High Court in Dr. L. R. Naidu Vs. State of Karnataka held that “Considering the provisions laid down in S. 438 of the Code and the principles of law with regard to anticipatory bail explained by their Lordships in Gurubaksh Singh's case (1980 Cri LJ 1125) (SC) and also considering the view taken by at least three Division Benches to the case referred to above, we are of the opinion that this Court has jurisdiction to entertain application for anticipatory bail of a petitioner who resides within the jurisdiction of the Court, though he apprehends arrest in connection with a case which has been started outside the jurisdiction of this Court”. The position is re-iterated in a recent decision in CRIMINAL PETITION No.809 of 2013. Calcutta High Court also took the similar view in Pritam Singh v. State of Punjab. It overruled the earlier position that “There is nothing in the provision suggesting that it is only the High Court or the Court of Session, within whose jurisdiction the case is registered, that can grant bail. The view that any person apprehending arrest, in the circumstances referred to in Sec. 438, can seek bail in the Court, within whose jurisdiction he ordinarily resides, cannot be said to be opposed to the principle underlying this provision”. Regarding transit bail, the Himachal Pradesh High Court in Sanjeev Chandel Vs. State of H. P. And Another has held that “Court can entertain an application for grant of interim bail to the accused to enable him to surrender before the Court having jurisdiction in a case wherein he is accused of the commission of offence committed outside the jurisdiction of this Court. The Court shall be producing the orders on 29th November, but in the meantime Goa Police has issued notice to Tejpal to appear tomorrow at 3 pm.